Most of us have a recycling bin nearby overflowing with paper products, so you probably won’t be surprised to learn that paper remains the most recycled of household waste materials. In Ontario, for example, new figures from the Paper and Paperboard Packaging Environmental Council found that paper products represented two thirds (by weight) of what was available for recycling in a home. Maybe that’s why, when it comes to producing paper, adding recycled content is often seen as an environmental quick fix. It is definitely the best way to ensure the most effective use of trees. But it is also seen as the best way to minimize our environmental impact. And the surprising truth is that this is not always the case. True, every ton of recyclable paper diverted from landfills conserves landfill space, saves electricity, water and air pollutants, and maximizes the use of the trees required to produce paper products1. But as with most environmental calculations, there is a bigger picture to consider. 1. You can’t recycle indefinitely. Wood fiber can theoretically be recycled up to seven times. But the fibers lose some of their strength with each round of recycling, becoming shorter and shorter until they can no longer be used for producing paper. Because of this, we need to continue to source fiber from our forests. If not, we would run out of fiber in just a few months2. Raw materials ideally should be available close to the mill in order to minimize transport requirements and the fossil fuel emissions inherent in truck or rail transportation. Production of recycled grades tends to be concentrated at facilities in or near urban areas with ready access to supplies of recovered paper, while grades requiring high levels of virgin fiber are produced at mills situated in more remote, less populous regions adjacent to forests3. 3. It takes water, energy and chemicals to recycle. Recovered paper must undergo treatment to remove ink, adhesives, coatings and other contaminants. And using recovered fiber to make higher brightness products, like photocopy paper, can require more processing which has an impact on the environment. There is generally less environmental impact when recovered fiber is “down-cycled” into lower quality grades such as newsprint or boxboard4. We use a lot of recycled paper here at Resolute. In fact, in 2013, we used 1.1 million metric tons of it. We also make 30 different types of paper that contain recycled content. 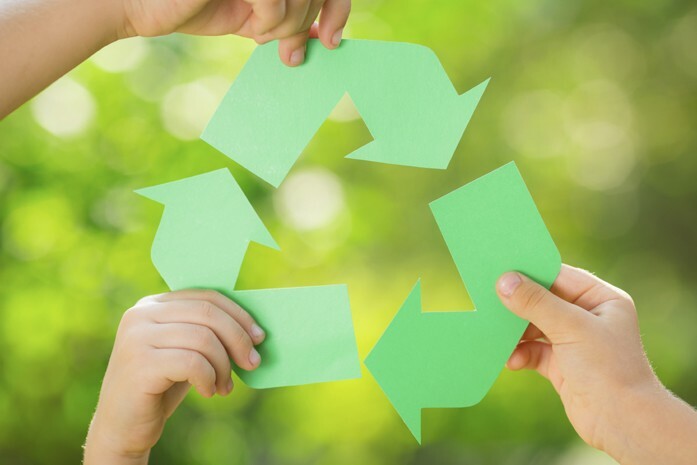 Recycling works because it is an important part of a larger process that includes making paper from sustainably managed forests and doing it in a way that reduces the carbon footprint of the process. Great post! Learn more about Paper Recycling and recycling process at The Waste Disposal Hub. Nice Article regarding Paper recycling.